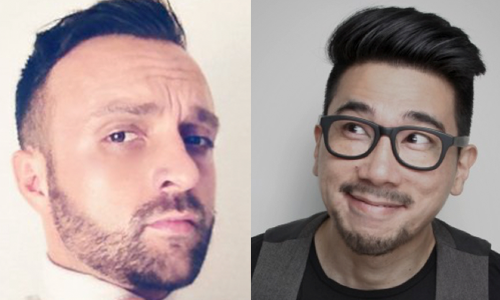 DDB Group Hong Kong has appointed Marco Lam as head of digital creative and Marcin Brzezinski as creative director in a bid to enhance its digital, branding and design capabilities. Marco Lam (pictured right) has over 12 years’ experience in digital transformation and user experience design. He has worked on multiple brands from retail to corporate, including BMW, Wynn, Chow Sang Sang, CLP Group, KMB, Ocean Park and HKTB. His most recent position was ECD at Mirum in charge of digital projects for Nikon, Huawei and HSBC. Marcin Brzezinski (pictured left) re-joins the agency as creative director, following an earlier stint with the agency in 2014. An art-based creative with over 12 years’ experience in integrated campaigns, digital, branding and design, Brzezinski has led projects for the likes of Swire Properties, Cityplaza, Ritz Carlton, Union Pay, TSL, Vita and McDonald’s. “The addition of Marco and Marcin combined with our proven reputation as the most creative and integrated agency in the city, further boosts our creative firepower for new and existing clients,” said Carol Lam, chief creative officer and managing director of DDB Group Hong Kong. The announcement follows as the agency won gold of Integrated Agency of the Year and Creative Agency of the Year, for the second year in a row. Text100 announced key promotions within its Asia Pacific (APAC) leadership to support the continuing growth of its business in the..